The 6th edition of this extremely popular and classic textbook has been updated to reflect ongoing changes in the field of property development. Attention is paid to the impact of the global financial crisis on the property development process and, in addition, to the increasing relevance of technology to the property profession. 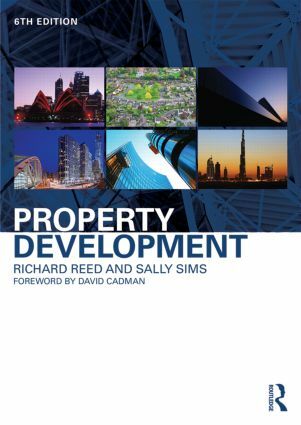 This fully revised edition of a standard text for all property development and real estate students will also be of interest to early career professionals and those pursuing similar professional degrees in the industry and in wider built environment courses. Richard Reed is Professor of Property and Real Estate at Deakin University, Australia. Sally Sims is Senior Lecturer in Real Estate at Oxford Brookes University, UK.